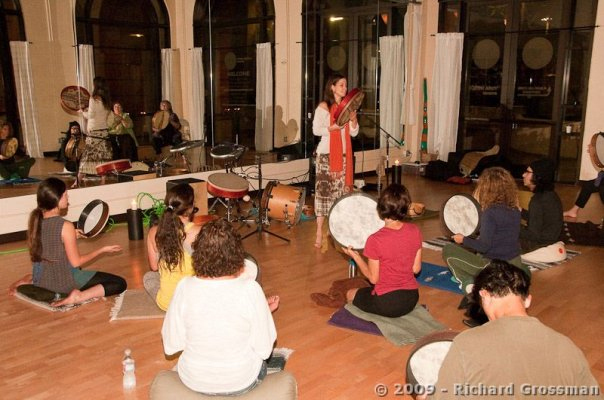 Learn to drum on one of the worlds first drums – the frame drum – a mystical instrument used by Priestesses and Shamans in cultures worldwide – for celebrations, rituals and rites of passages. Unleash your creative genius through improvising, learning how to compose and notate your OWN rhythms and improvise in ANY meter! Open to all levels, beginners encouraged. Frame Drums Provided and will be available for sale after workshop. – Everyone is a composer. Learn fun approaches to improvising and creating your own music! – We will explore Solkattu, (South Indian vocal percussion) and other Indian music concepts to help facilitate improvising EASILY in any meter! 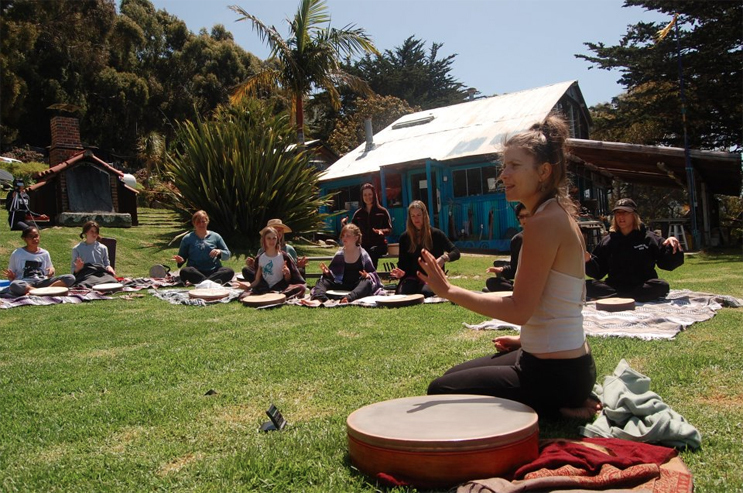 – Learn Shamanic -infused rituals that you can do with the drumming that can result in bringing dynamic transformation, calmness, grounding and inner peace into your life. You will leave this course with all the tools to be an educated, confident, creative, inspired improvising frame drummer!! BRING THE INCREDIBLE RHYTHMS OF FRAME DRUMMING TO YOUR COMMUNITY!